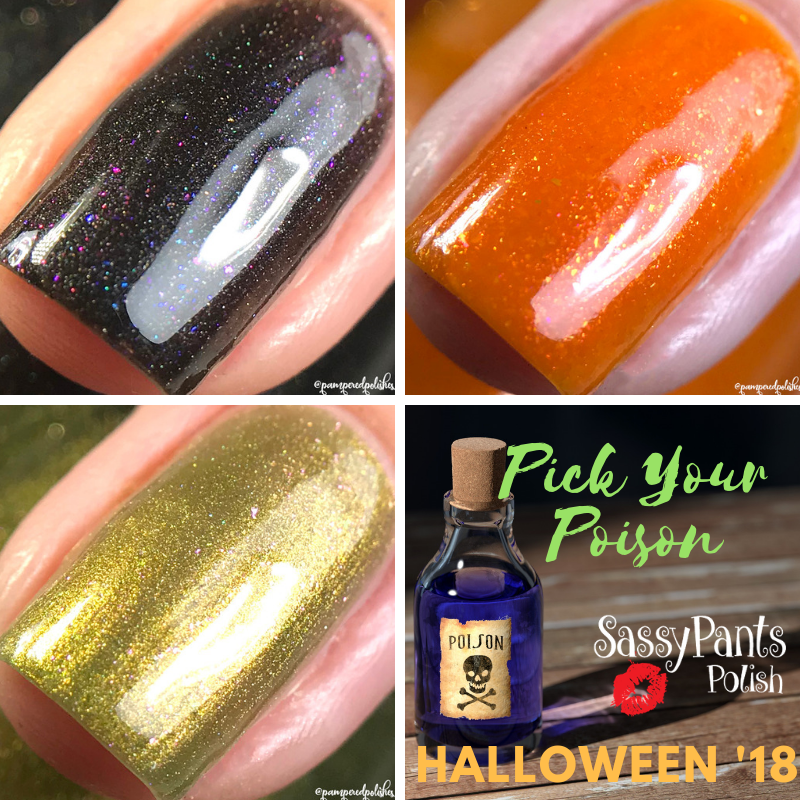 Presenting "Pick Your Poison Trio" for Sassy Pants Polish's Halloween '18 Collection! These 3 shifty aurora shimmer polishes are drop dead gorgeous for Halloween as well as autumn! 1. Deadly Nightshade, is a black shimmer polish with aurora holo shifting blue to purple shimmer. 2. Belladonna, The perfect Halloween orange with aurora shifting shimmer and red to gold shifting microflakies. 3. Foxglove, is an olive base with auroro holo shifting pink to green shimmer.